Do you know that how can you make money via selling your cosmetics products online, if not than do not need to worry. Today with the help of this post i would like to share an interesting and amazing article which is based on how we can earn money by selling cosmetics online in 2013. As we all know that cosmetics are the best friends of every girl (including woman also ). Usually we see that latest makeup products are always carry with a girls bag. The generation are growing very fast and now the men also uses the cosmetics products to look different. You can also start your mini business and make huge amount by selling different kinds of products. Promote your business online and get huge audience. Below are a few places to make money by selling cosmetics online. Cosmetics products are always latest in fashion. Learn some ways to make money through selling cosmetics online. OLX was founded in March 2006. OLX is the new generation of free online classifieds. You can easily selling, buying, trading, discussing, organizing, and meeting people near you, wherever you may reside. It is used in over 105 countries and also available in 40 different languages. It an platform where buyers meet sellers, and you can sell anything on OLX. Write review for your product and give necessary details. If you have an blog or website and want to promote your product than you can tell it and write the review along with details. The audience which comes on your blog they see the products and details about it, if they find it sufficient than they can contact you. And if you don't have an blog than you can share your info with others blog, paid something to show your products. If we talking about selling and buying something online and doesn't include the name of eBay than it would be an injustice with eBay. eBay is the famous and popular marketing site where you can sell your products and items online and make money. Write the products reviews and give all necessary details. As we all know that Facebook become an giant monster. It includes million of users daily. This application is used for chatting and connecting with peoples. 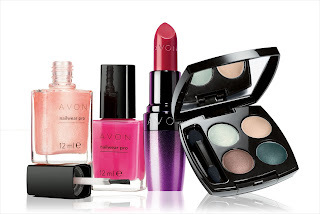 You can create an Facebook page, you page is all about cosmetics and brands. Share some pictures and present your ideas among others. Once people would hear from you, they will definitely like to know more about what are you actually offering. When bloggers are ready to make money through Google AdSense, than Google will surely offer for people like you too, who can advertise their cosmetics using Google Adwords where all you will need to do is to create your ads, You have to choose highly targeted keywords and enjoy getting audience and customers. Selling Handmade Crafts And Gift Items To The Top 5 Websites And Make Money! The best way is through affiliate programs! Preferably on a beauty blog, but there are other ways to promote affiliate links too.